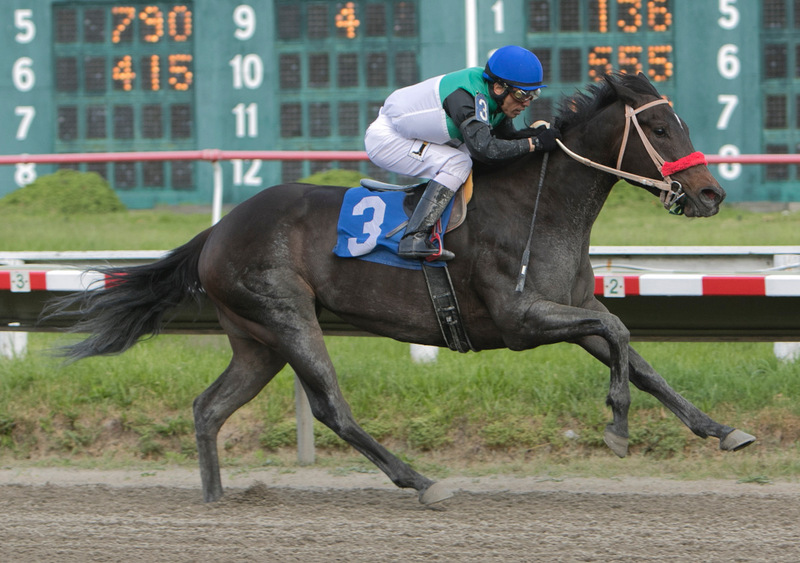 East Boston, MA — Live racing returned to Suffolk Downs on Saturday, June 9 as the track kicked off the first of three scheduled weekend-long racing and food truck festivals. A crowd of 9,208 was on hand as Princess Dream won the $50,000 Isadorable Stakes for the second consecutive year. The five-year-old daughter of Freud, bred in Massachusetts by owner Patricia Moseley, rated off of the pace under jockey Joel Sone and took control at the top of the stretch. She drew clear to win by 2 ¾ lengths and completed the six furlong contest in 1.11.19. Trained by Jonathan Buckley, she earned her fifth career victory and returned $4.20, 2.60 and 2.20. It was the second winner of the day at Suffolk Downs for owner and breeder Patricia Moseley of Hamilton, Massachusetts. Dream Doctor, a seven-year-old son of Freud, won the ninth race for trainer Tim Wooley. Edwin Gonzalez was aboard for the victory in the $52,500 optional claiming race run at seven and a half furlongs on the turf. In addition to the success at Suffolk Downs, Moseley also saw La Moneda, a five-year-old full sister to Dream Doctor, win the opening race at Belmont Park. Her multiple graded stakes winner, Proctor’s Ledge, finished second in the $700,000 Just a Game Stakes (G1) at Belmont Park as part of the Belmont Stakes undercard to cap off the day. Live racing is scheduled to continue on Sunday, June 10 with a card of twelve races including two stakes races for Massachusetts-bred horses. Post time is 12:55 p.m.
Sunday will also mark to the conclusion of the inaugural $5,000 Jockey Challenge in which the riders compete for points over the course of the weekend. Heading into Sunday’s card, jockey Dylan Davis tops the standings with 37 points, 11 ahead of Erik Barbaran in second.